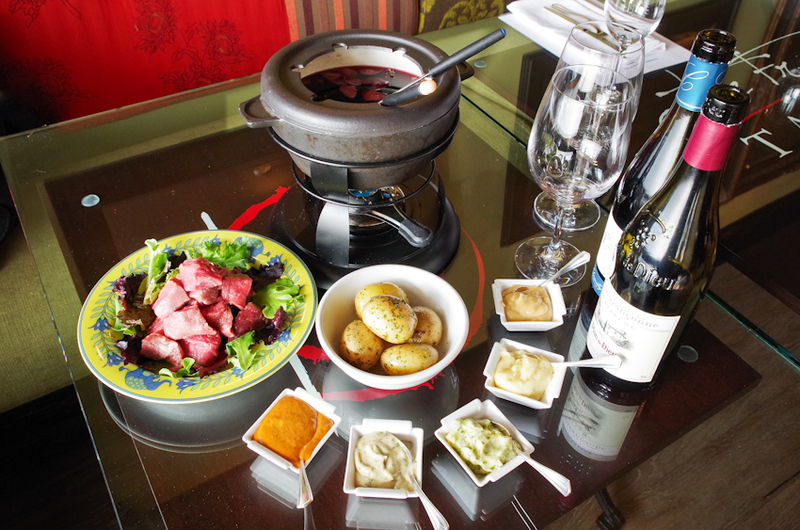 Please call ahead by 2 hours or mention burgundy fondue when making your reservation to order this special item. 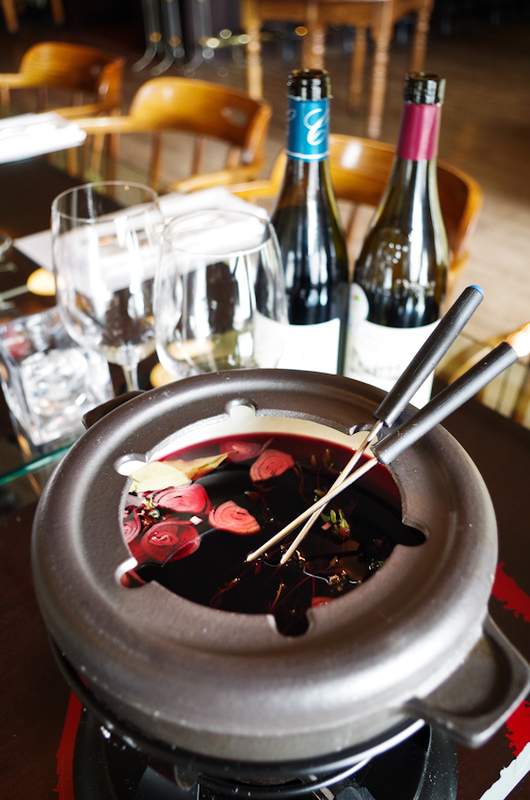 Instead of the typical Swiss fondue served with cheese that you are familiar with, Burgundy meat fondue is made with meat cooked in wine; specifically a pinot noir with aromatics. 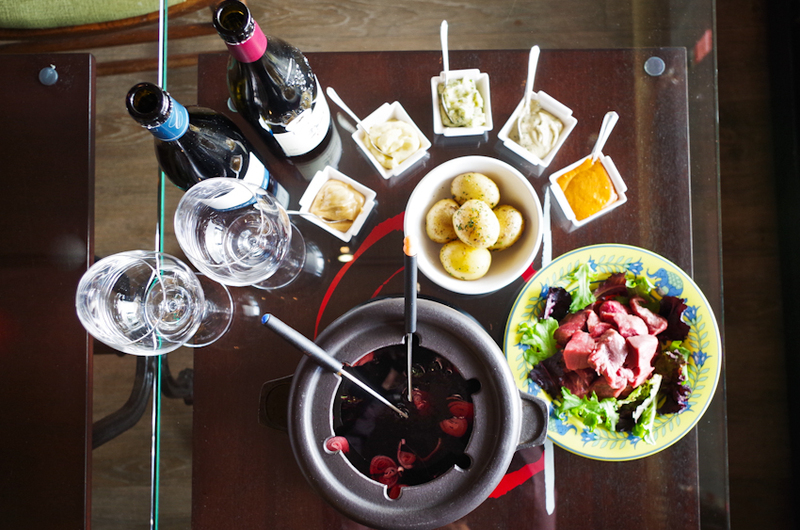 Burgundy Fondue is a great convivial experience. Share it with your significant other or enjoy a night of fun with close friends. 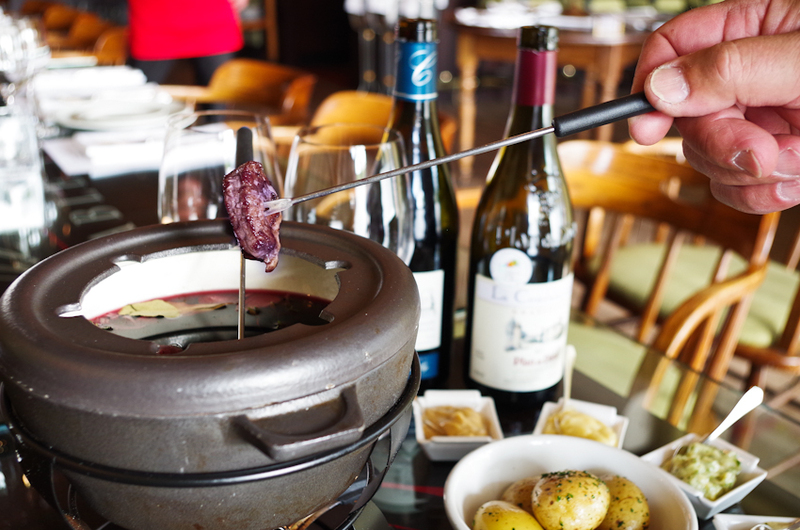 We are one of the few restaurants to offer beef fondue in Vancouver. Served with beef tenderloin, cooked in a pinot noir broth with aromatics and vegetables. Includes nugget potatoes, green salad, and 5 different types of mayonnaise. 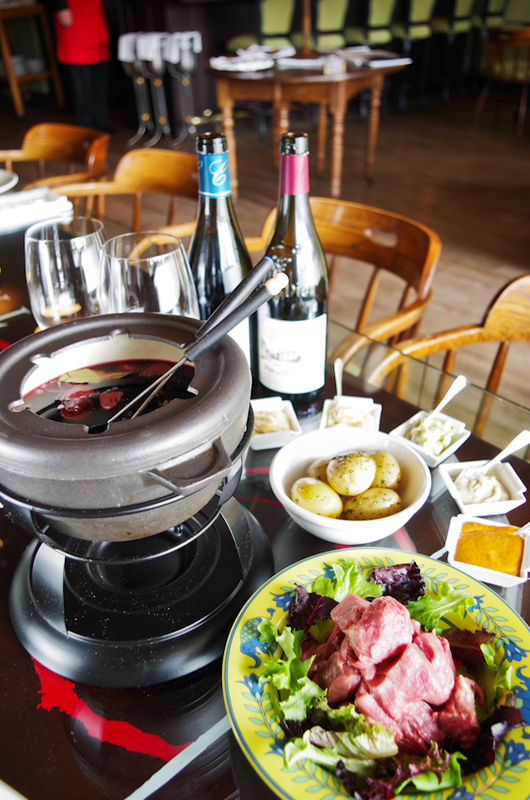 This beef fondue is perfect for sharing. Make your reservation using the form on this page!